I have just returned from the island of Kauai, celebrating a reunion of my family I had not seen in a while. What a homecoming. While there, I had the privilege of returning to a morning AA meeting I had attended twelve years prior in Lydgate Park, not five minutes from our condo. Although it wasn’t the same people, it was the same welcoming I had those long years before when I was only three years sober. You can just make out the drawing in the center. A triangle, within a circle surrounded by a heart, with the words, “welcome home” drawn around the heart. Gathering that morning as the roosters crowed and the sun was rising at 7 am, a woman jumped up excitedly as we watch her draw this in the center of our gathered meeting of about twenty people. She had a stick that looked like it was the “official” stick (one probably for this specific purpose and that service position!) 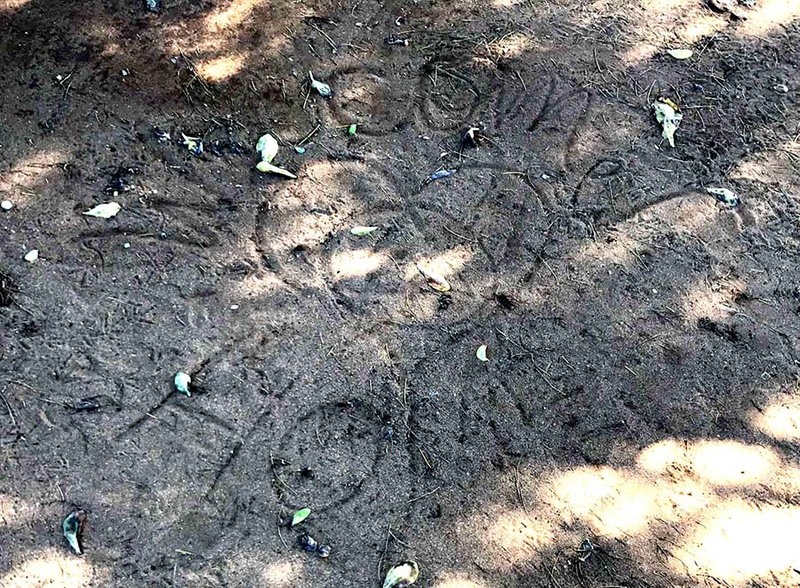 and she drew this message in the carefully-raked dirt. To stay sober, support each other and hear God’s voice comfort us on this path of sobriety through the words of each other. Family gathering. Hui Ohana. What a blessing. I am grateful.